Film screening & roundtable "Waterfront: A post-Ottoman post-socialist story"
"Waterfront: a post-Ottoman post-socialist story"
Since 2015, the United Arab Emirates firm "Eagle Hills" and the Serbian government have collaborated on a 2-billion euro project to revitalize the Savamala, a dilapidated post-industrial neighborhood surrounding Belgrade's old port and central railroad station. The Belgrade Waterfront envisions a bright future of luxury apartments, high-rises, marinas, hotels, and shopping malls. The Serbian authorities have presented the project as an opportunity to finally ascend to European modernity, finishing a project started in the nineteenth century with the country's independence from the Ottoman Empire. Yet, the Belgrade Waterfront has also been criticized for its displacement of Savamala's residents, its radical intervention in the urban tissue, and the economic relations of inequality it champions. Inviting historical comparisons, the Waterfront appears as a modern-day echo of past injustices. 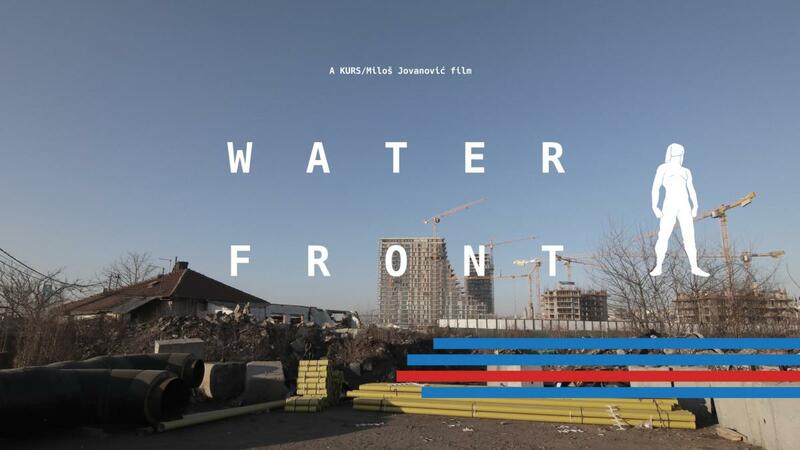 This film explores this juxtaposition - the folding of 19th and 21st century capitalism on the city of Belgrade and its waterfront. What does it mean to call upon de-Ottomanization in the era of post-socialism? What visions of civilization and progress does that bring? Whose stories does it erase? Upon whose backs is the waterfront made? And what is to be done? The discussion with the three film directors will be moderated by Celine Cantat from the CEU Center for Policy Studies. Further comments/insights will be offered by Csaba Jelinek from the Hungarian Academy of Sciences and Periferia Policy and Research Center (https://www.periferiacenter.com), and Astrea Pejovic who is a PhD Candidate at the Department of Sociology and Social Anthropology. Milos Jovanovic is a historian and urban studies scholar. He has been a member of the Empires of Memory project at the Max Planck Institute for the Study of Ethnic and Religious Diversity since receiving his PhD in 2016. He is interested in cities on the semi-periphery of capital and history as a form of emancipatory praxis. Milos's work has been published (or is forthcoming) in Urban History, The Journal of Urban Cultural Studies, History and Anthropology, and Godisnjak za drustvenu istoriju. The collaborative documentary Waterfront (2018) is his first feature-length video project. Milos Miletic and Mirjana Radovanovic jointly practice visual art and research at KURS. In their work they explore how artistic practice can contribute to (and become an integral part of) various social struggles. They often use archival material as a starting point, combined with revolutionary poetry/prose and the visual language of progressive movements from the past. They are guided by the idea that the content they produce should be didactic and accessible to the wider public. KURS advocates the democratization of the means of artistic production and strives to include the broader population in the process of creating and designing artistic interventions (www.udruzenjekurs.org/en/).